A geographically defined area which is designated or regulated and managed to achieve specific conservation objectives. A clearly defined geographical space, recognised, dedicated and managed, through legal or other effective means, to achieve the long-term conservation of nature with associated ecosystem services and cultural values. Globally, the CBD and IUCN definitions are the most widely referenced definitions. There is tacit agreement between the CBD Secretariat and IUCN that both definitions effectively have the same meaning 2. Explicit commonalities between the two definitions are that a protected area is outlined by agreed and demarcated borders, as well as designated and managed for the purposes of conservation. The IUCN definition is more detailed on the means to formalise the protected area, highlighting the legal aspect, and on the nature of specific conservation objectives. The management of protected areas through legal or other effective means, implies management activities are outlined by law (e.g. national law or an international convention or agreement) or within a widely accepted agreement (e.g. recognised traditional rules or policies of established NGOs). The IUCN definition also elaborates on conservation objectives by including the human element through adding ecosystem services and cultural values. The conservation objectives need to be ensured in perpetuity and address the conservation of nature (ie. biodiversity and potentially geodiversity), associated ecosystem services and cultural values. Only ecosystem services and cultural values that do not interfere with nature conservation are conserved. For instance, certain traditional management practices can have biodiversity value and are hence considered a cultural value that will contribute to the protected areas overall conservation aim 2. Well-managed protected areas provide a variety of benefits: protection of healthy ecosystems and their associated services, support for the recovery of threatened species, control of invasive species, and maintenance of traditional ecological knowledge among indigenous communities. Protected areas are a key strategy for biodiversity conservation and are promoted through multiple international conventions and agreements. In 2010, protected areas covered 12.7% of the world’s terrestrial and inland water areas and only 1.6% of the marine realm. The Aichi Targets from the CBD’s Strategic Plan for Biodiversity aim to increase this to 17% and 10% respectively by 2020. Internationally agreed definitions and management categories have been developed for protected areas to facilitate global assessments. Protected areas aim to conserve biodiversity by protecting species, habitats and other biodiversity features within their boundaries. Protected areas are one of the cornerstones of biodiversity conservation as outlined by the Convention on Biological Diversity (CBD) 1 and are addressed by Aichi Targets 5, 11 and 12 of the Strategic Plan for Biodiversity 2011-2020 3, 4. Well-managed protected areas provide a variety of benefits: protection of healthy ecosystems and their associated services, support for the recovery of threatened species, control of invasive species, and maintenance of traditional ecological knowledge among indigenous communities. The goods and services delivered by protected areas can have effects well beyond their boundaries, for example where they provide protection of watersheds resulting in river flow outside the boundary of the park 2. The CBD’s Strategic Plan for Biodiversity contains a number of targets, known as the Aichi Targets, which comprise global-level goals for achievement of the plan. The most recent global assessment shows that in 2010, protected areas covered 12.7% of the world’s terrestrial and inland water areas. The marine realm was considerably less well protected with only 1.6% of the global ocean area under protection 3. Aichi Target 11 calls for at least 17% of the world’s terrestrial areas and 10% of coastal and marine areas to be effectively and equitably managed by 2020. Protected areas are also essential in achieving Aichi Targets 5 and 12, which aim at preventing or reducing the rate of habitat and species loss respectively. Indeed gap analyses at the regional and global scale have established that coverage of biodiversity by existing networks is currently insufficient to represent species diversity effectively 5, 6. To track progress on the implementation of these targets, the Parties to the Convention on Biological Diversity (CBD) adopted the Programme of Work on Protected Areas (PoWPA) in 2004 which drew upon ouputs from the Vth IUCN World Parks Congress in Durban 7. PoWPA presents a blueprint for the future designation and management of protected areas, and provides a framework for cooperation between governments, donors, NGOs and local communities. 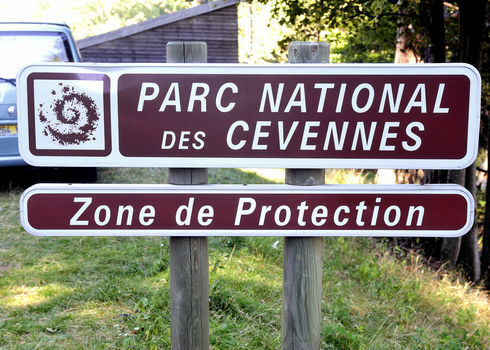 A number of specific protected area conventions and programmes exist defining standardised criteria for internationally recognised protected area designations, such as the World Heritage Convention (Convention Concerning the Protection of the World Cultural and Natural Heritage), Ramsar Convention (Convention on Wetlands of International Importance, Especially as Waterfowl Habitats), and The United Nations Educational, Scientific and Cultural Organization (UNESCO) Man and the Biosphere (MAB) Reserves. Protected areas were originally classified by local governments, using national designations (e.g. “community conserved areas”, “marine sanctuaries”) 2. Although all designation types are relevant to conservation, the CBD recognised the value of having a single international classification system in order to facilitate international comparison and a global analysis of the protection status of the world’s ecosystems 2. The PoWPA therefore invited individual parties to the CBD to apply the IUCN protected area management categories to their systems of protected areas 8. These divide protected areas into six types, based on the management objective of the area, ranging from wholly biodiversity-focused objectives such as wilderness protection, to those incorporating human use, such as sustainable natural resource management 2. The World Database on Protected Areas 9 is the only global database of terrestrial and marine protected areas, and acts as a central repository for data for around 200,000 protected areas. It is managed by the UNEP World Conservation Monitoring Centre (UNEP-WCMC) in conjunction with IUCN. In order to incorporate records of protected areas into the WDPA they should meet the CBD and IUCN definition of a protected area. The WDPA provides a resource for governments, the private sector, and conservation, research and scientific communities. It is used by companies to support compliance with environmental safeguards, reporting and screening processes. Lopoukhine, N. & Dias, B (2012) Editorial: What does target 11 really mean? Parks 18.1:5-8.